Another year is nearly over. 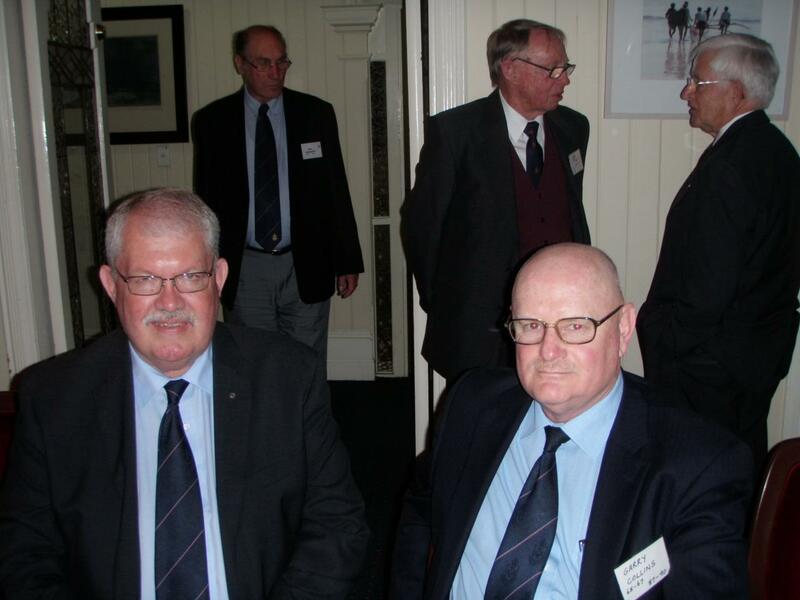 The AGM was a great function and was well attended by members. A highlight of the evening was the speech delivered by Brian Smith about his association with the French Foreign Legion. It was fascinating and enlightening. Being the AGM the attendees received the required reports and the Executive Management Committee for the new year was elected. The Commanding Officer, Tim O’Brien, informed the attendees that he was finishing as CO at the end of the year. On behalf of all members I wish to convey to Tim our thanks for his work as CO. It has been challenging for him. Apart from suffering from the recent Brisbane floods the work expected from the Regiment in military training is enormous. His consistent hard work in maintaining the high standards which QUR achieves marks the excellence of his command. We thank Tim and wish him well for his future career. The Committee will still work on the preservation of the history of the Regiment by scanning photos and documents. As previously stated the scans will be made available to members. If you have any old photos, instructions, parade cards... anything at all... we would greatly appreciate a loan so we can scan the documents for our history collection. 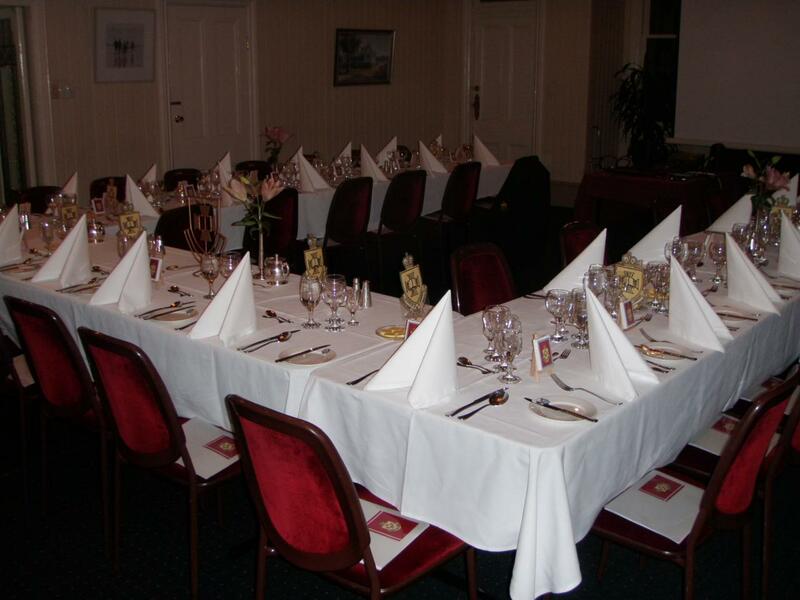 The last function for the year is the Xmas drinks at the Victory Hotel in Edward Street Thursday 8 December 2011. Just drop by any time from 1730 for few minutes. Some hot and cold finger nibbles will be available. Drinks are at the cost to the member. It is nice to catch up with old friends. It would be great to see you there. The Association has purchased a small supply of cuff links. The QUR badge is gold on a black back ground. The letters “QURA” are pictured below the badge. They are enclosed in a small presentation box. They are pictured on this website. At $20 per set they are a great Xmas present. I would extend to the Commanding Officer and all ranks of the Regiment thanks for your support to the Association during the year. The Association does what it can to further the interests of the Regiment and we greatly appreciate the work which the Regiment does to support us. To all the members I wish you the best for the forthcoming festive season. I wish you safe travel and the happiness of family and friends getting together. It is with some sadness that I pen my final CO’s Report for the Association. Firstly, an update on our St Lucia home. The good news is that the planned rebuilding work is progressing well and should be completed on schedule in early December. The Regiment is effectively being rebuilt “like for like” with the old facilities, although in a modernized state. However, there is some bad news. It has been identified that the power supply into the Unit does not meet modern standards and needs the installation of a new transformer. The timing of this work is still being determined, but it may take until mid 2012 before it can be completed – and therefore until the Regiment can re-occupy the facilities. So the desire to hold our first and final parade of the year on our St Lucia parade ground will, unfortunately, not be fulfilled. Nonetheless, I am glad that these matters are all being identified and dealt with now, so that when the Regiment does return to St Lucia, it can do so knowing that the facility is fully ‘fit for purpose’, and should be such for a long time. On the training side, the Regiment continues to be busy, and will be so right up to Christmas stand-down. Jacka Company is particularly busy. The timing of the cadet training blocks has been changed, increasing the number of TBs which are conducted over the November – February period. This timing, combined with an increase in the number of Cadets we have under training, means that Jacka is currently preparing its Cadets to attend over 80 TB courses across this summer (many Cadets doing more than one course). 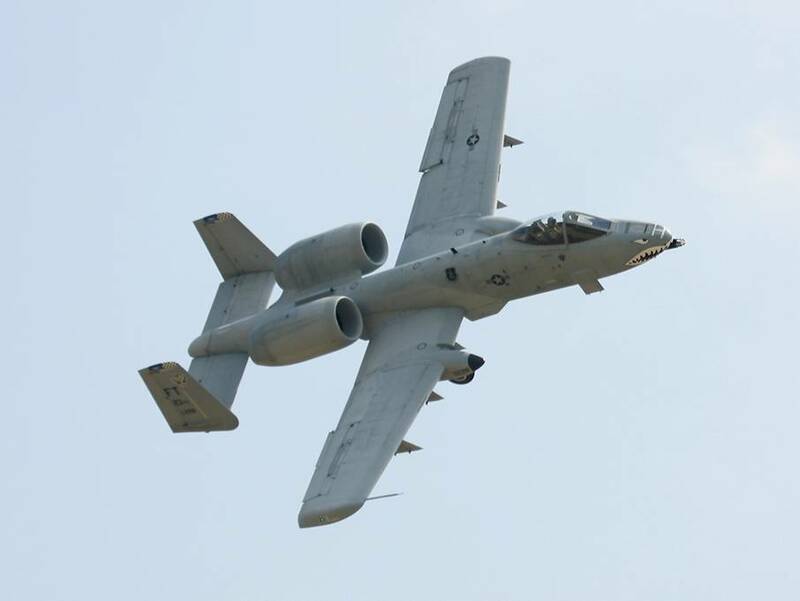 This is a significant workload, the benefit of which will be realized later in 2012 and 2013 when the Unit may be sending 15 to 20 cadets at a time for their final TB5, and subsequent commissioning. The tempo is no less in the other corners of the Regiment. We currently have two Grade 3 courses running, and will conduct another two Grade 2 courses before the year is out. From early January 2012, we will kick off again with IET courses and Grade 3 courses, so it will not be until well into February until the Unit can pause for breath. All of this work continues to be supported by the hardest working elements of the Regiment – the logistic and administrative support elements. 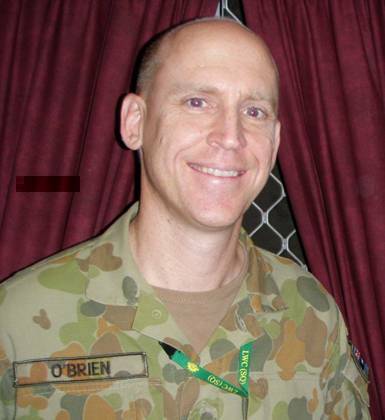 Off course, the work in 2012 will be under the stewardship of the Regiments new Commanding Officer, LTCOL Mark Armstrong, who assumes command with effect from 1 January 2012. Mark is a very capable officer who will lead the Regiment with distinction. I congratulate him on his appointment and wish him every success during his command. He is about to experience an honour that he will never forget. For me, it has been an unequivocal privilege to have been entrusted with the command the Regiment over the last three years. To command the Regiment at any time is a privilege, but I cannot help but count my good fortune that I have been in the role at a time of such transformation, and at a time when the Regiment boasts so many fine members. It has been humbling to witness their dedication and achievements and an honour to serve with them. At the start of this year, the first words I said to the collected Regiment were that I was standing in front of the finest and most important Reserve training establishment in the Army – and that it was an honour to do so. That will forever be my view. In signing off for the final time as CO, I would like to thank the Association and all its members for the steadfast support it provides to the Regiment. QUR’s alumni is truly one of its great strengths. Finally, I would like to wish all members of the Association a happy, safe and peaceful Christmas season, and I look forward to again crossing paths in the future – as a fellow alumnus of the great Queensland University Regiment. 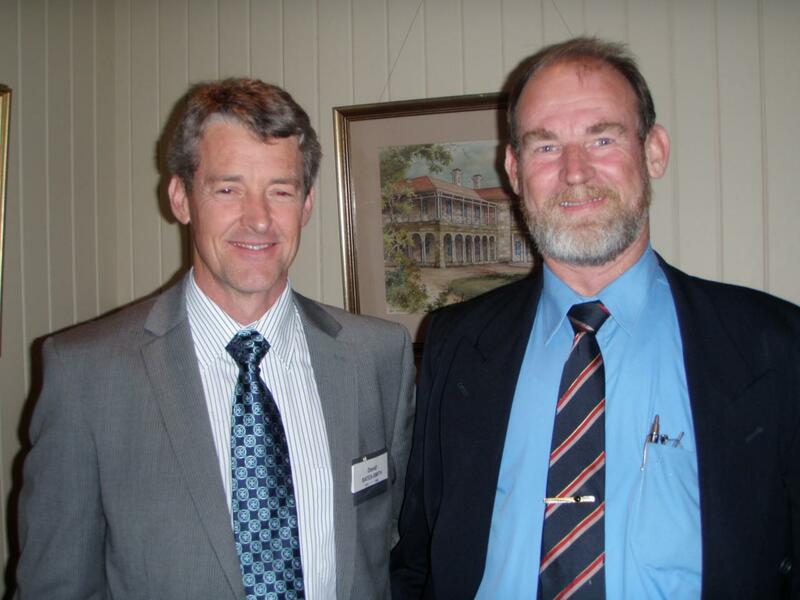 The 2011 QURA AGM and Dinner was held at the United Service Club on 9 SEP. Approximately thirty members attended and entertained by a talk from BRIG Peter Jeffrey about the changes about to be implemented in the Army Reserve, LTCOL Tim O'Brien gave an update on the status of the Regiment and the after dinner speaker Brian Smith gave an insight into the French Foreign Legion as seen by his own personal experience - a most enthralling story. The AGM minutes and Financial Report can be found later in the Newsletter. Congratulations are extended to Trevor Luttrell for his work in the dinner table ornaments. The centre piece and table decorations were created by Trevor Luttrell. Gina Privitera and Scott Sheppard (2IC QUR) chatting after dinner. 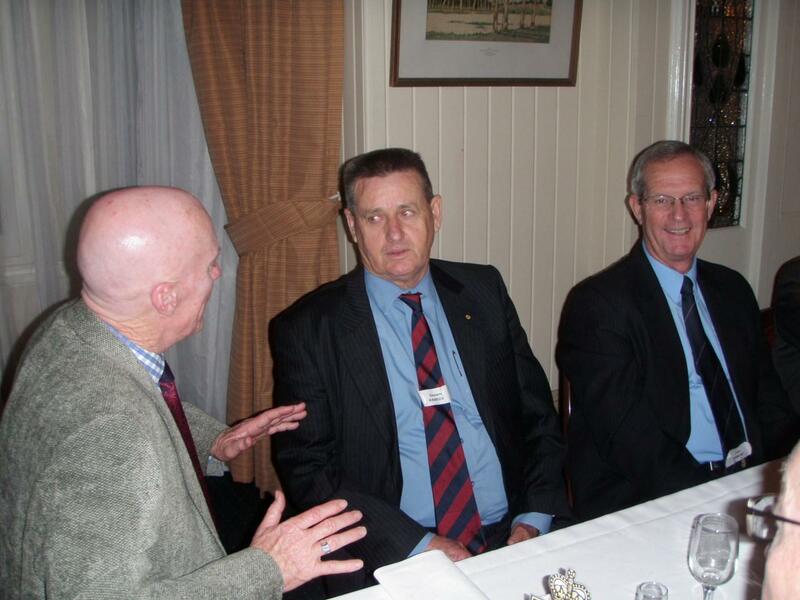 QUR powerbrokers LTCOL Tim O'Brien (CO) and BRIG Peter Jeffrey (COMD 11 BDE). Garry Collins (right) catching up with Rod Hamilton whilst in the background, Neil Heather chats with Viv Hawke as Rod Hardaker makes his entrance. Kojak (alias Rob O'Brien) holds Graeme Ramsden`s attention with John Hammond clearly amused on the right. 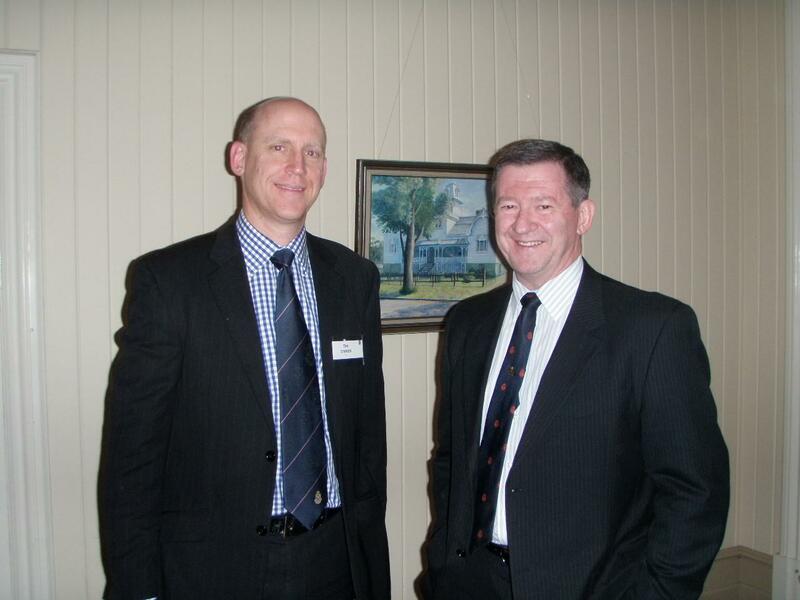 Craig Blanch (left) with David Ross after the dinner. 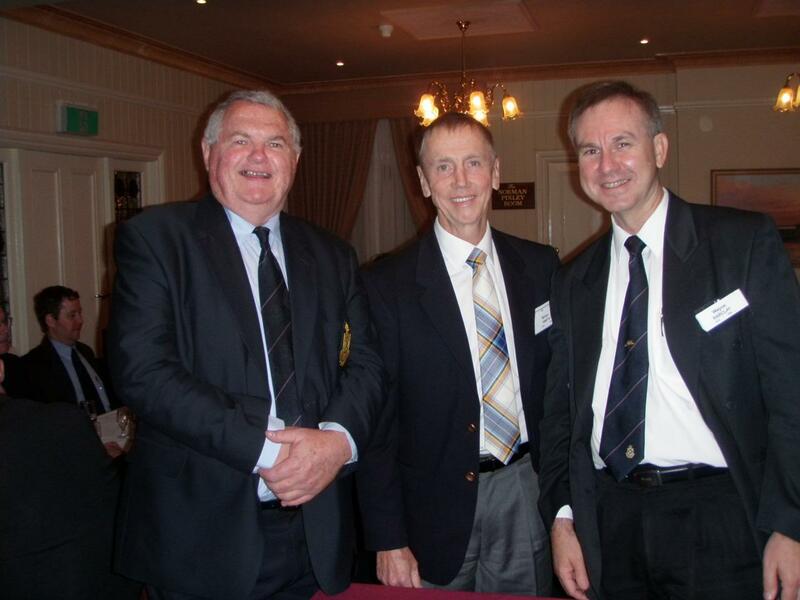 Trevor Luttrell with Brian Smith (centre) and Wayne Barclay talking before the dinner. Peter Morton chatting with Kerry Tscherepko after the dinner. 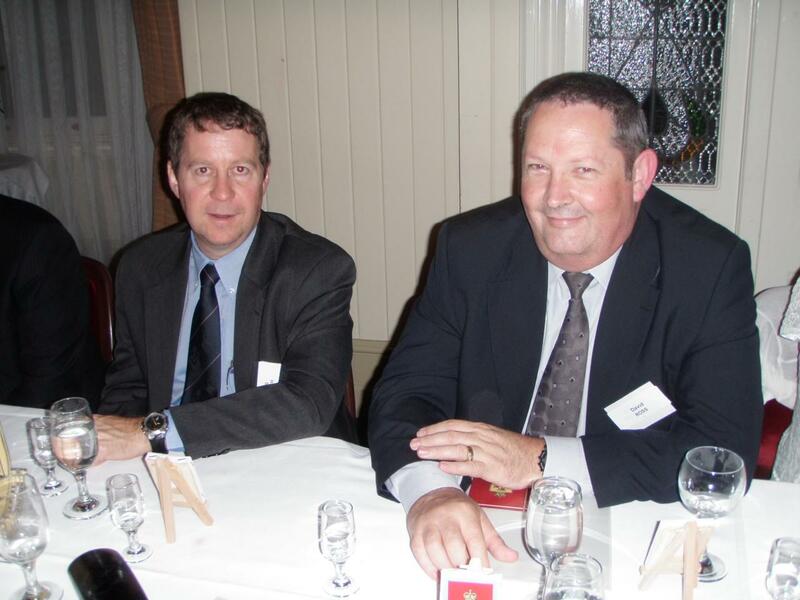 David Bates-Smith (left) with friend and ex-QUR member Brian Talty prior to the dinner. Chris Backstrom (left) with Laurie Smith and Rob O'Brien checing the Financial Report being delivered by President Trevor Luttrell. 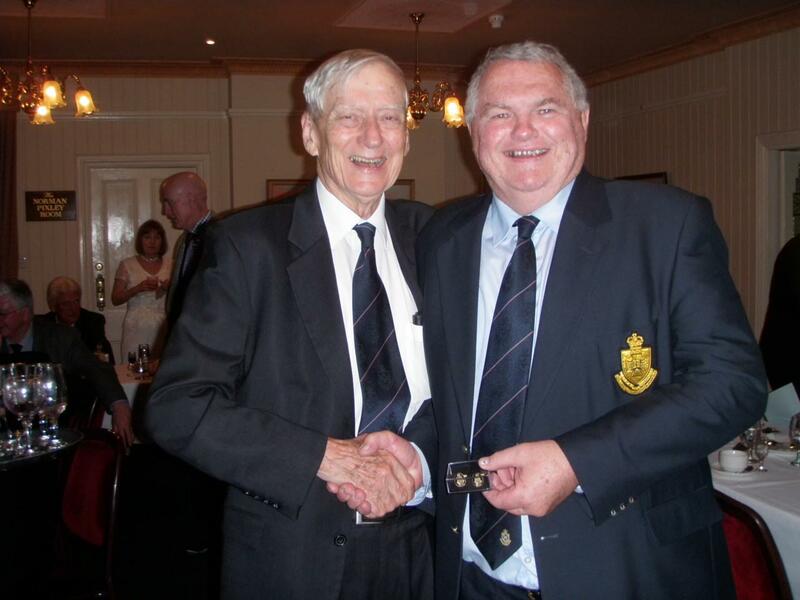 President Trevor Luttrell (right) presenting Sam Harrison (founding President) with a set of QURA cuff links. NOTE:- Cuff links are for sale at a very reasonable price on the FOR SALE page -- could be just the right present for Christmas!!. Having been the Director Reserves - Army since LTCOL Andy behan deployed in May, I have finally been able to spend our office budget on more appropriate furniture. THIS is how the Director General and I now live in R1-3-B168 in Russell Offices in Canberra (Er, yes, well spotted - a few of the cups did have our morning gins and tonics)! 12. 'I am' is reportedly the shortest sentence in the English language. Could it be that 'I do' is the longest sentence? 14. What hair colour do they put on the driver's license's of bald men? section in a swimming pool? Thought I'd send you a quick email to thank you and Trevor and the rest of the committee for organising last Friday night's AGM and dinner. It was an excellent opportunity to catch up with old friends and to hear from the CO and BRIG Jeffery the future for QUR and the wider Reserve. I particularly enjoyed the insights provided by Brian Smith on his time with the French Foreign Legion. Please pass on my best wishes to Mal. I missed seeing him at the dinner. Sorry I didn’t get back to you. I’ve been down hiking around Kangaroo Island where there are no TV’s, phones or computers. It’s a beautiful spot, would highly recommend it. Anyway, obviously I won’t be attending on Friday. Have an enjoyable evening. Thank you for the reminder. With Mary in her mid 80’s and myself trailing not too far behind, one’s family responsibilities curtail participation in evening events. It is with regret that I will not be able to attend the next AGM this Friday. However I do enjoy the News letters and am keen to stay in touch. Thanks for this. As I'm in the UK until October I won't be attending the AGM. If appropriate to do so, please record an apology for me? Your well-worded emails and newsletters etc do QURA a lot of credit and should be appreciated by all members. PS Regarding the request in this email for people to keep their contact details updated, mine are as before (and as in the signature block). I am writing you today as I stumbled upon your newsletter and saw something that court my eye. My name is Aidan Slipais, my dad was Shane Slipais and today is the 6th anniversary of his passing. I saw in your newsletter a small passage about him from an ex student and would just like to say thank you to them and others who have said similar things and also that if anyone wishes to pass on anything to our family they can feel free to email me. I do not know what else to really say, he was my father, my teacher and my best mate and is terribly missed and after reading through some of the newsletter I was happy to see others thought the same and I'm sure he would be too. Thanks for the invitation and for the wonderful update service you provide. 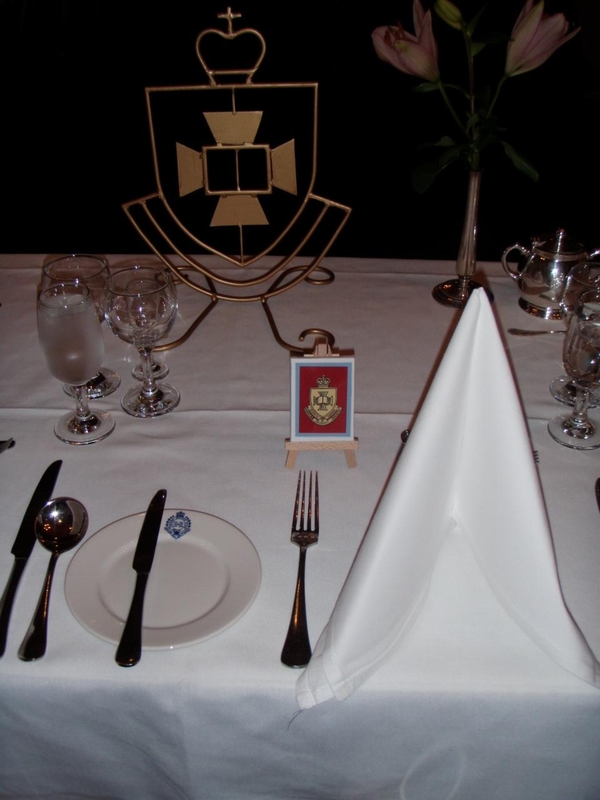 I have a Wings Dinner to attend that evening at the Airline Academy of Australia out at Archerfield – Seems that I am handing them out as the VP, so I would be rather missed if I don’t attend! Hope that you have a great evening – seems that every time there is a QURA function on, something else is on. However, I now have one child out of school and two more soon to follow and life should then suddenly become far less hectic. 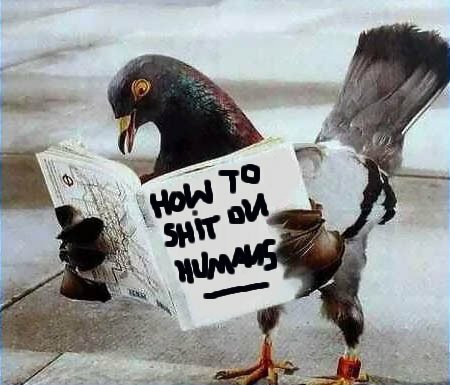 While I am slack bugger in terms of attendance, I really do enjoy reading the material you circulate and staying up to date with events – a sincere thank you. The great question. which I have not been able to answer... is, "What does a woman want?" Thank you for the notice of the AGM and Dinner. I am sorry I cannot attend. I am very interested in maintaining contact but I don't drive now and I rely on my wife to drive me places and monitor the computer and advise me of what is going on. I found it a bit easier to attend functions when they were at St Lucia. I hope you all have a very pleasant evening. Unfortunately, I am unable to attend the 2011 AGM, as I am running the Smilie Pushcart event at the Maryborough Technology Challenge, on Saturday 10 Sep - starting early in the morning. This is for assessment towards one of my last subjects (March 2012 graduation, here I come). At this stage, the Christmas drinks are looking good. My reply must have vanished into cyberspace. I replied a few weeks ago, but it may have gone to Trevor only. I would really like to join you, but unfortunately I had to decide between three functions that evening and I have an obligation to all three. I had to make a decision and I have a dining out for a very long standing friend and colleague with whom I have worked almost all my life. I suspect his medical issues are likely to catch up with him in the none too distant future so Monica and I have decided to attend his farewell. 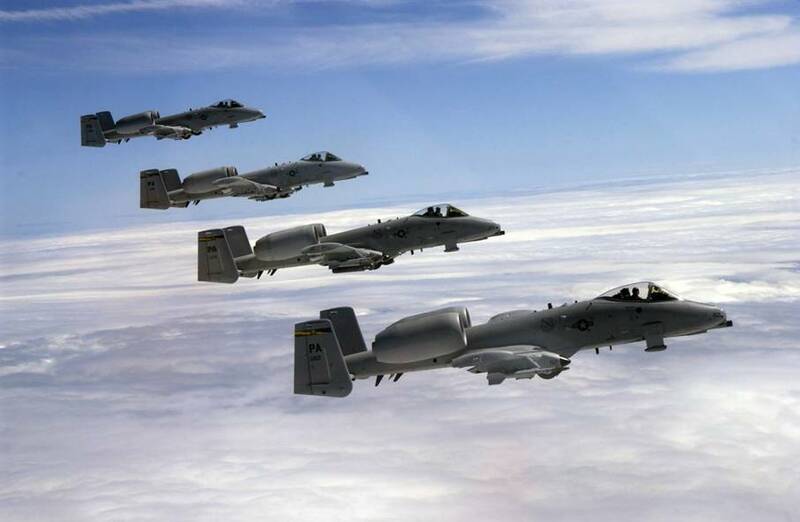 I have the next day to deploy to New Guinea for an exercise as well, so I have to send an apology for this year for the AGM and dinner which I always enjoy. I hope to see you all again soon. Whoever wrote this was pissed off.... but its a point well made. fought a battle against the Viet Cong. In this action D Company lost 18 men killed and 24 injured. The Viet Cong dead numbered in excess of 245. The Australian lines were never crossed. by awarding the Unit Citation of Gallantry on 30th May 1968. The Award was formally accepted by Queen Elizabeth in 13th June 1968.
at Lavarack Barracks,Townsville on 18th August 1968.
honouring their extraordinary deeds at Long Tan. presided over by the Governor General of Australia. who tragically perished on Christmas Island. plus a Coach tour of Sydney thrown in. by wetting themselves to appease the feelings of boat illegals forcing entry into our country. to celebrate our Armed Forces accomplishments at Kapyong, Korea in 1951.
fly in a RAAF plane to Korea to mark this 60th Anniversary. You do not deserve to represent our country. I really do have a valid excuse for not attending the AGM. Mirella and I will be celebrating our 25th Wedding Anniversary cruising the Greek Islands on 9th September. We do have Gallipoli on the itinerary. 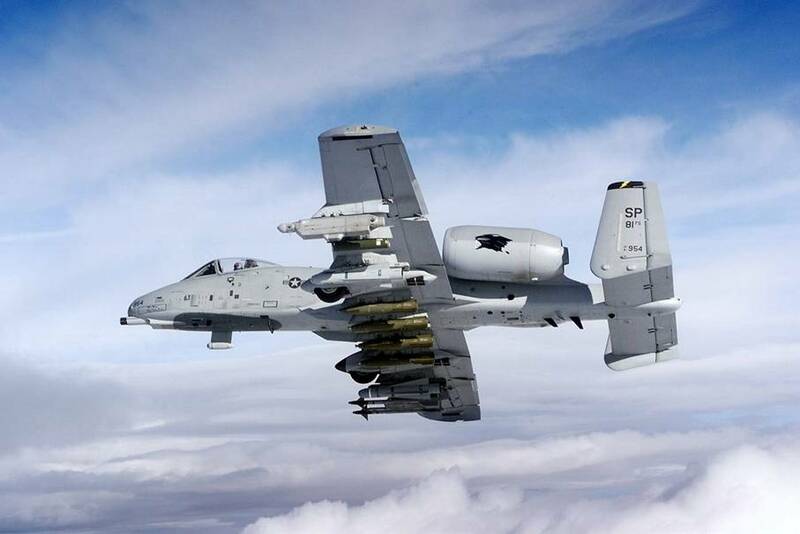 And they had done such a good job with an airplane they developed back in WWII ..
...called the P-47 Thunderbolt, they decided to call it the A10 Thunderbolt. 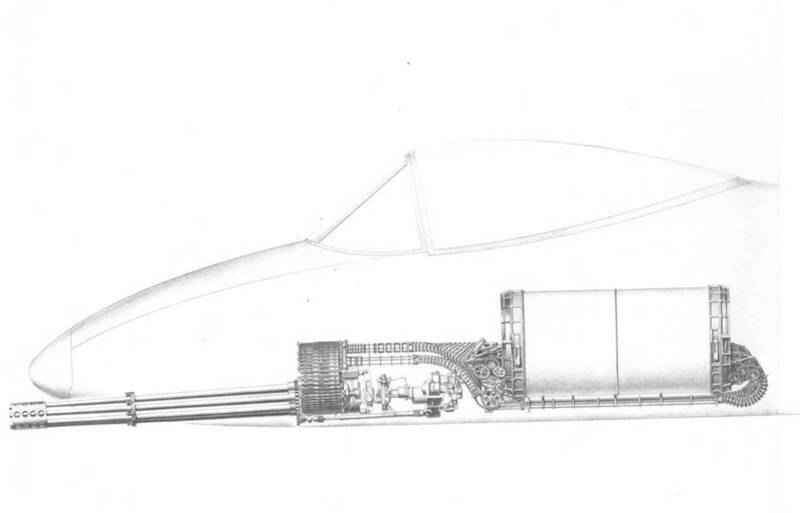 Not only tanks, as Sadam Hussein's boys found out to their horror, but armored personnel carriers, radar stations, locomotives, bunkers, fuel depots ... just about anything the bad guys thought was bulletproof turned out to be easy pickings for this beast. This is the closest I could find to showing you just what this cartridge is all about. What the guy is holding is NOT the 30mm round, but a "little" .50 Browning machinegun round and the 20mm cannon round which has been around for a long time. 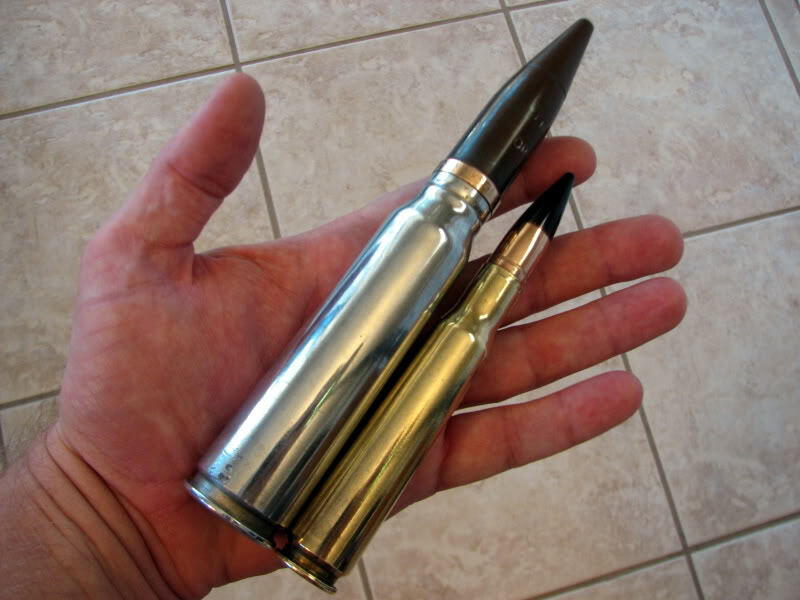 Let's get some perspective here: The .223 Rem (M16 rifle round) is fast. 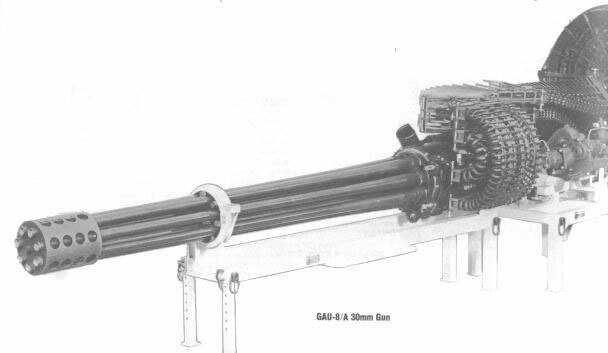 It shoots a 55 or so grain bullet at about 3300 feet/sec, give or take. It's the fastest of all those rounds shown (except one). 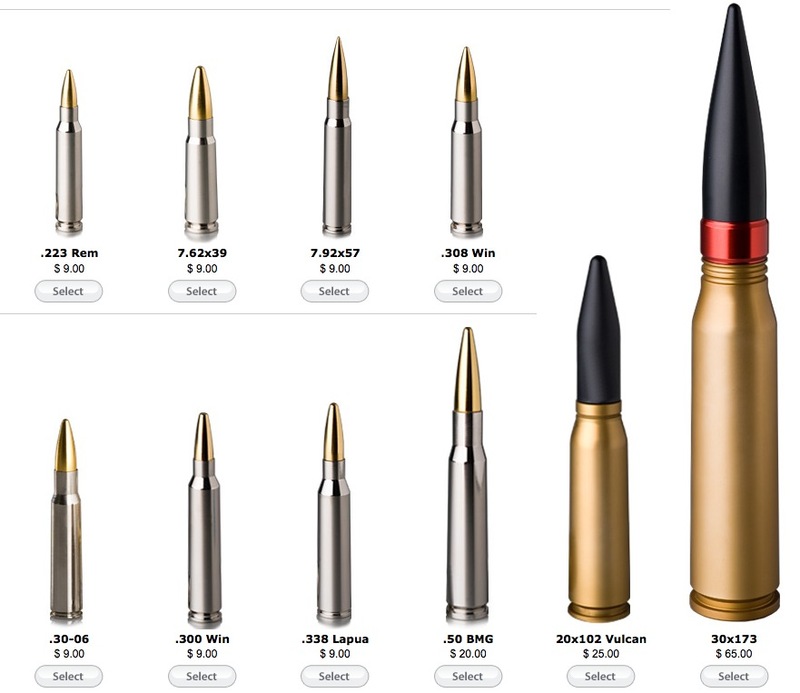 When you move up to the ..30 caliber rounds, the bullets jump up in weight to 160-200 grains. Speeds run from about 2600 to 3000 fps or so. Oh, by the way, it doesn't eject the empty shells but runs them back into the storage drum.. 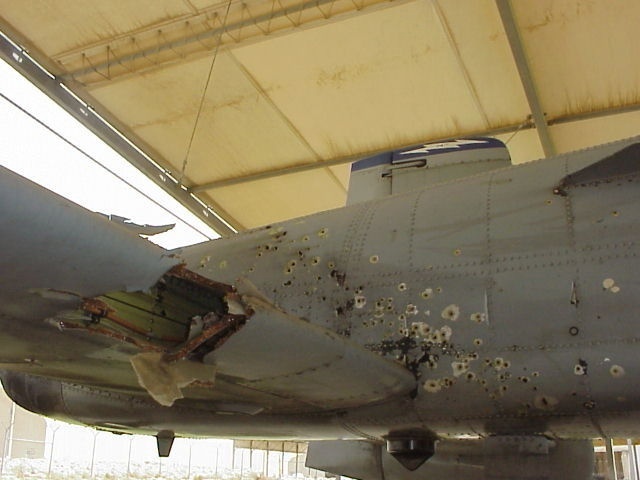 There's just so dang many flying out, they felt it might damage the aircraft. Oh yeah, I forgot, they can hang those bomb and rocket things on 'em too, just in case. After all, it is an airplane! Unfortunately I will be unable to attend the AGM on 9 Sep as I will be in Wollongong at the time. I have finally completed the necessary requirements and been admitted as a Barrister of the Supreme Court of Queensland and High Court of Australia - working as a prosecutor with the Queensland Police Service. I am hoping to transfer from 2 CER to Legal Corps in the future, but at this stage I am posted to the Ops Cell at 11 CES. I will be in Wollongong undertaking and intensive for the LLM (Criminal Prosecutions) conducted at the University of Wollongong. Thank you for taking the time to email me. Please pass on my apologies, and I hope it is an excellent evening. The Annual Christmas Drinks are on again. As usual, we have reserved a corner in the beer garden at the Victory Hotel, Cnr Charlotte and Edward Streets in the CBD. Drinks start after 5.30pm till ?? Please come along for a couple of drinks after work. Partners welcome. If you know of any former members of QUR that have been part of QURA or might like to join, please invite them along. The Association will provide some hot & cold finger food and members will be required to purchase their own drinks. 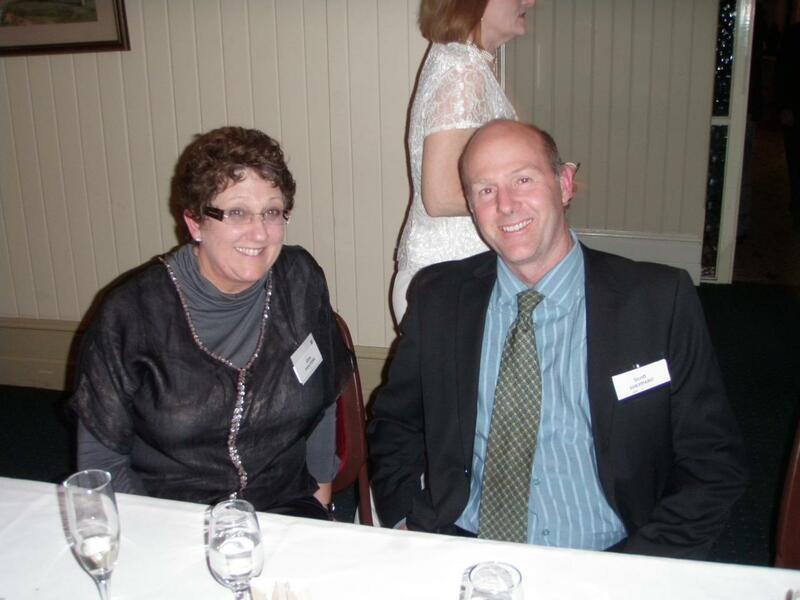 I will be attending the Association’s Christmas Drinks to be held at the Victory Hotel, Cnr Charlotte and Edward Streets, Brisbane on the evening of Thursday 8 December 2011 after 1730 hours. I regret that I am unable to attend. President opened meeting at 1930 hours. Brian Smith as the guest speaker. A list of attendees is attached to these minutes. Minutes of previous AGM was tabled as per booklet. 4. QURA presentation of prizes to staff cadets. Purchase of 16` books from 9th Bn Assoc for graduate prizes. b. Newsletter: Takes a lot of work but I am sure you would be happy with the efforts. Especially thanks to Peter Morton with the website management. I produce the articles and he massages them into the production. d. Membership: Very slow but around the same as last year and chasing up. Continuing to be collected. President called for more items to be lent to QURA, especially photos and small quotes. President appealed for copies of Unit Newsletter “CONTACT”. 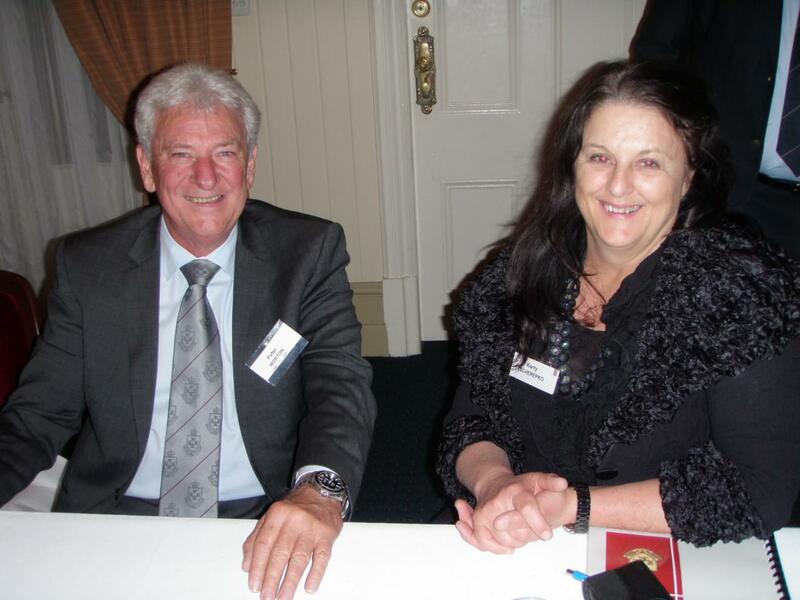 f. Thanks to all the executive members for work, especially Peter Morton for the newsletter. There were sufficient nominations for positions they were dealt all together. Secretary Treasurer to be combined into one responsibility. 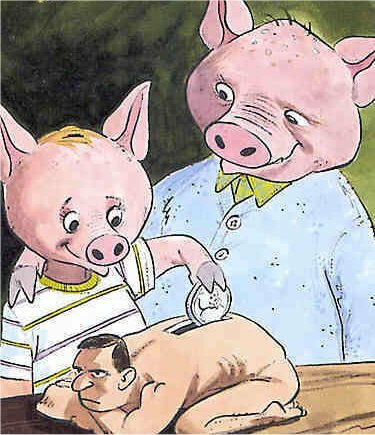 Auditor not required. There were no matters of general business. Commanding Officer presented “The Current Status of the Regiment.” The Commanding Officer spoke of the many courses for which QUR is responsible. The CO informed members that at the end of the year the command would change. Mark Armstrong would be the next CO. President congratulated and thanked the CO for his stewardship of the Regiment, and wished him well in the future. Brigadier Peter Jeffrey spoke about the future changes for Army and how they affected the Reserves in general. 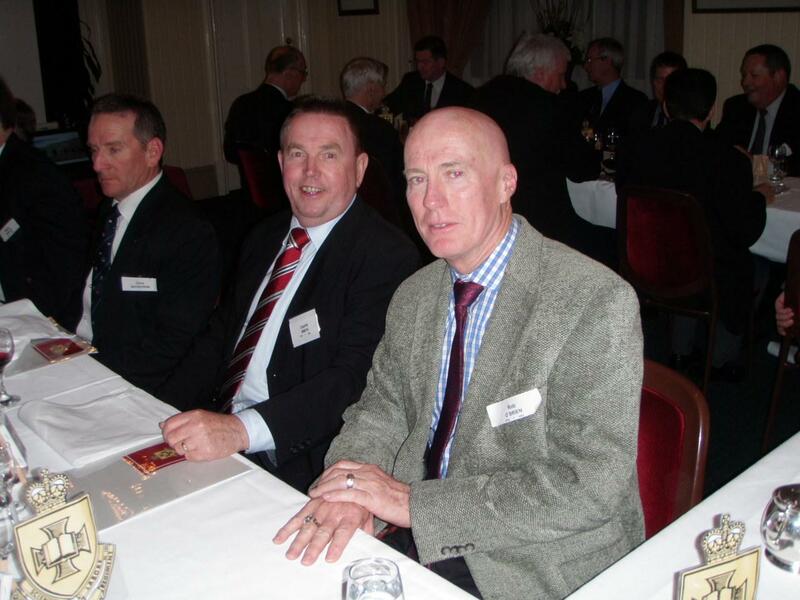 Brian Smith presented after dinner comments that focused on his period of association with the French Foreign Legion. Brian spoke about the role of the Legion, the rigorous training and the philosophy of the idea to just get things done no matter what pain and suffering to the Legionaires. Members thoroughly enjoyed his presentation. 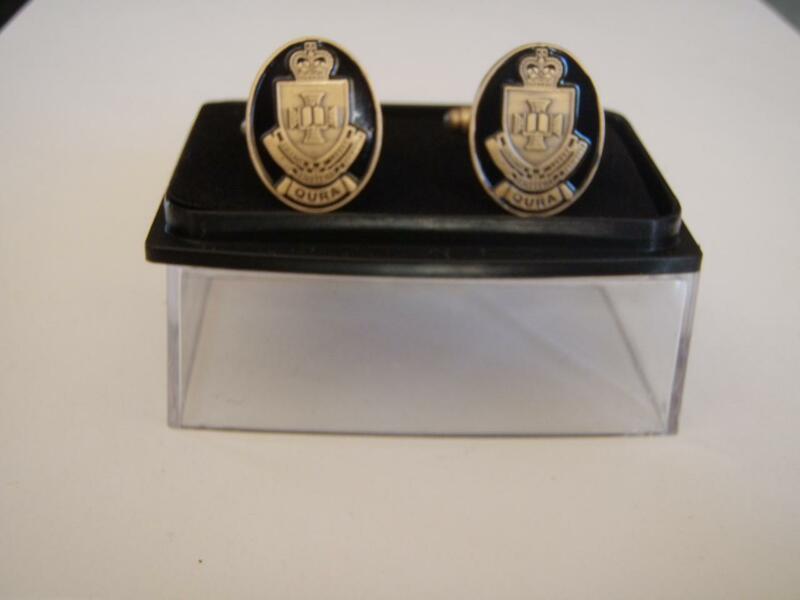 The President presented a set of cufflinks to Brigadier Sam Harrison in recognition of his work to establish QURA and his close association with the Association over many years. Meeting closed at 2215 hours. Before this time tomorrow I shall have gained a peerage, or Westminster Abbey. The Russian Army is a wall which, however far it may retreat, you will always find it in front of you. Magnificent! - but it isn’t war. We must make this campaign an exceedingly active one. Only then can a weaker country cope with a stronger; it must make up in activity what it lacks in strength. I forbid the voluntary evacuation of trenches. The will to stand must be impressed on every man in the Army. I hold Commanding Officers responsible for this. The enemy should have to carve his way over heaps of corpses. You may kill ten of my men for every one I kill of yours, but even at those odds, you will lose and I will win. All Vietnam is not worth the life of a single American boy. Haig failed perhaps to see that a dead man cannot advance, and that to replace him is only to provide another corpse. By good fortune in the game of military snakes and ladders, I found myself a general. William Joseph, Viscount Slim, 1891-1970 on himself. A chrysanthemum by any other name would be easier to spell. Wind velocity increases in direct relation to the cost of the hairdo. Hard work never killed anybody, but it frightens some people half to death. Those that can are doers, those that can’t are consultants. An appeal is when you ask one court to show its contempt for another. If the facts are against you, argue the law. If the law is against you argue the facts. A judge is a man who ends a sentence with a sentence. If horse racing is the sport of kings, then drag racing is the sport of queens. Original sin was wrong from the start. You can get some first hand knowledge from a second hand car. Yesterday I couldn’t spell engineer. Today I are one. You can live longer if you give up everything that makes you want to live longer. If your wife doesn’t treat you like she should, be thankful. Confucius say man with only one chop stick never get fat. Would you call Stalin’s burial site a communist plot? If a word in the dictionary were misspelt, how would we know? 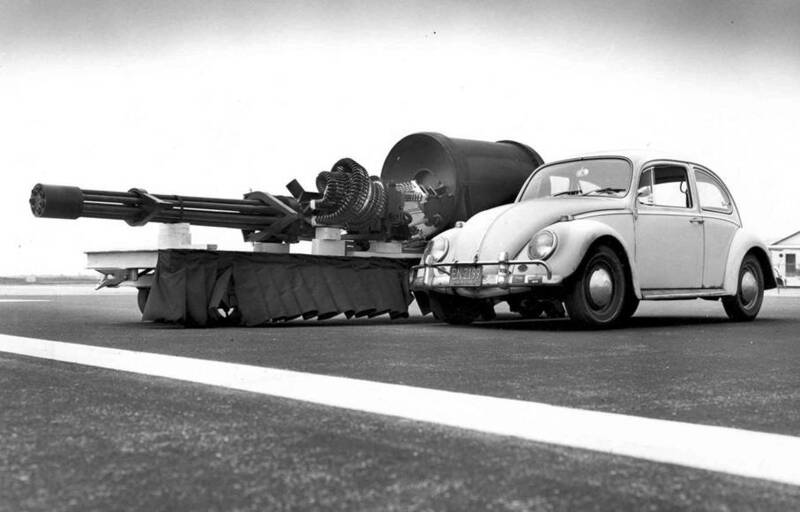 Some days you’re the bug, some days you’re the windscreen. Smile, it makes people wonder what you are up to. Never buy your sweetheart exercise equipment on his or her birthday. He who hesitates is bossed. Some people might say who wants to be 90? And I say, anyone who is 89. I’ll never make the same mistake of bein’ seventy again! It’s easy to make a friend. What’s hard is to make a stranger.